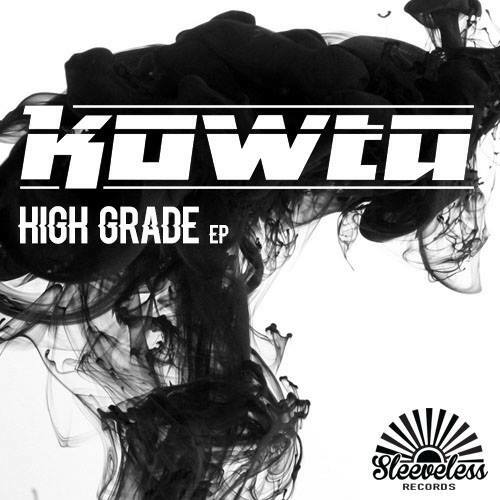 KOWTA has officially joined the team of badasses known as Sleeveless Records, and his new release, ‘High Grade, is a heater straight from the bass cave. Supplying a slew of auditory quirks to entice our ears, ‘Freaky’ let’s us know from the start that KOWTA is heavily driven by his creative variety; each production is as hyped and bizarre as the last, and we think you’ll agree. KOWTA is certainly making a strong impression with this debut on Sleeveless, and we’re sure he will find a legion of followers now that High Grade is available to the masses. ‘Listen Up’, the EP’s closing track, is swimming with pitched hip hop samples and heavy bass. This is perfect for cracking the windows, cruising a blunt, and bassin’ while the smoke pours out. Sleeveless is always delivering top quality, and ‘Listen Up’ shows why KOWTA deserves his slot. A remix of ‘Listen Up’ by MiHKAL follows, which is perfect for those wanting even more of a trapped out banger. Stream the new new below, and keep your ears tuned to KOWTA.